Home > Blog > Recommended Reads – January. 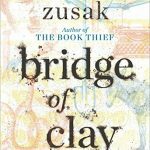 Australian Recent Release: Bridge of Clay by Markus Zusak. “Zusak is a writer of extraordinary empathy and he excels in his understanding of adolescent boys…in his portrayal of the gently traumatised Clay he has created a memorable character to savour… in Bridge of Clay, as earlier in The Book Thief, Zusak has succeeded in creating a story so vibrant and so real that the reader feels enveloped by it.” The Australian. The Dunbar boys follow their own rules and raise themselves in a family filled with chaos and tragedy. Their mother is dead, their father has left them. Clay is the quiet one, and it is he who will build a bridge, for his family, his sins and his past. He builds a bridge to transcend, to survive. In Bridge of Clay Zusak is back with a another wonder of a book. Heartfelt and provocative, this novel about a family held together by the stories they share, and a young boy in search of greatness and a cure for the past, will have you longing for more. 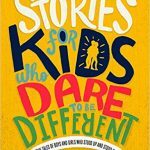 This is an inspiring collection of 100 extraordinary stories of both famous and largely unknown men and women who made their dreams come true and changed the world in their own unique way. The perfect bedtime collection. ‘Duck and green peas forever!’ A convict girls vision of utopia in Tasmania. 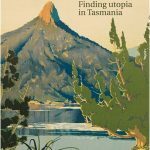 This book tells the stories of the people who have searched for or happened upon utopia in Tasmania. Ranging from Indigenous people to modern commune dwellers, settlers and farmers, families seeking to escape the war in Europe, and those assembling bomb proof shelters in the Tasmanian bush. Alexander’s book is full of incredible stories that showcase the courage and determination of those who learnt to call Tasmania home. Tasmanian Classic: Jillaroo by Rachael Treasure. After an argument with her father over the their family property, Rebecca Saunders grabs her swag and her three dogs, and heads up north. Soon after she gets a job as a Jillaroo and meets farmer and party animal, Charlie Lewis. Will Rachel choose a life of wheat farming with Charlie, or will she return to her mountain home to fight for the land and river she was born to? It is only when tragedy comes that Rachel find the courage to do what’s in her heart. 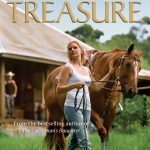 Treasure’s classic novel is filled with adventure, dreaming and determination.